Pamela Dorman Books, 9780670023288, 322pp. The brilliant new thriller from the author of the critically acclaimed debut, "The Poison Tree." 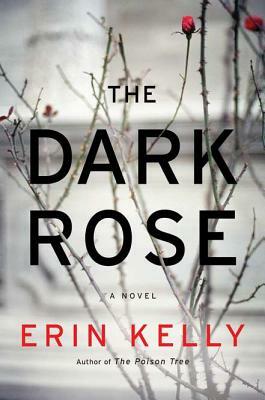 A story of secrets and guilt set among the ruins of a sixteenth- century English garden, "The Dark Rose" explores the extremes of obsessive love and loyalty, devotion and desperation. Like Kelly's critically acclaimed debut novel, "The Poison Tree," this fantastically creepy, atmospheric novel thrills until the final shocking moments. Erin Kelly read English and European literature at Warwick University and has worked as a freelance journalist for more than ten years. She has written for "The Sunday Times," "The Sunday Telegraph," "The Daily Mail," "Psychologies," "Red," "Elle," "Marie Claire," "Cosmopolitan," and "Glamour." She lives in North London with her husband and daughter.